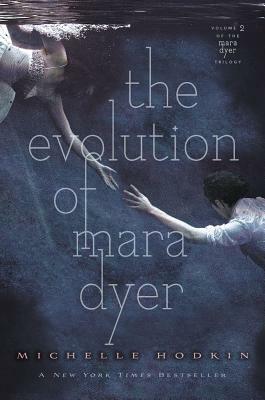 The Evolution of Mara Dyer by Michelle Hodkin was just as gripping and mesmerizing as the first book in the trilogy. Mara now knows that Jude is alive and seems to be after her. This has caused her serious anxiety issues. To make things even harder, Mara is trying to convince her family that she is not crazy and should be allowed to live at home. The only good thing that has come from this whole ordeal is Noah coming back into her life. He seems to be the only thing that is keeping her grounded. As she continues to come to terms with her “gift” and hang on to what is real, Mara discovers that there could be much more to her and Noah’s talents. I loved this book! The characters are fantastic and they just keep getting better. I loved how this book feels incredibly contemporary and then a few pages later it is filled with supernatural elements. All and all creating a very realistic feeling story. Hodkin has done such an amazing job of keeping her readers guessing. Just when you think you have everything figured out, she throws in one more twist. Of course this also means we are left with a cliffhanger ending that leaves us anxiously awaiting the final volume. I am completely intrigued with the possible family back-story that was hinted at in this book as well as learning what Mara and Noah’s gifts mean. This has been one of my all time favorite young adult series. It has everything you desire in a book; a love story that is well written and witty, suspense and mystery that keeps you on the edge of your seat, and of course fun paranormal elements. Mark of Athena by Rick Riordan is fantastic. He just keeps getting better with every book, of course this means that we read it nonstop and then are anxiously waiting for the next book. The story picks up right where The Son of Neptune ended. Annabeth, Jason, Piper, and Leo are all flying along in the Argo II hoping that Camp Jupiter doesn’t think they are trying to start a war. This paired with the weight of having the coin that Athena, her mother, gave her with the words “avenge me” attached as made life a little stressful for Annabeth. However, this is not discouraging her from tracking down Athena’s statue and making things right. 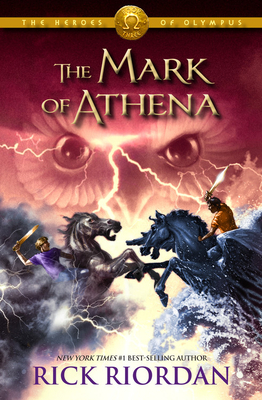 Riordan writes such beautiful descriptions; I was in awe when he the described the statue of Athena. He also has such a gift for keeping his readers glued to his every word. The tale never becomes repetitive or mundane. In fact, they become more suspenseful and every bit of the story is packed with adventure. This has been such a great spin off series from the Percy Jackson and the Olympians and is wonderful for all ages to read. Peter Robinson’s new book Watching The Dark was fabulous. I have loved inspector Banks since the first book and have enjoyed his evolution throughout the years. 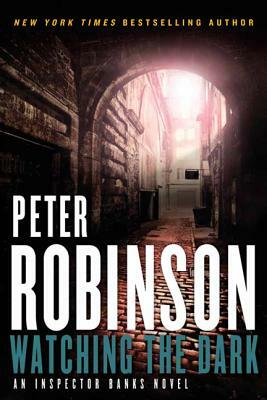 Detective Inspector Bill Reid is murdered at the St Peter’s Police Treatment Center, thus creating a sensitive case for Detective Chief Inspector Alan Banks. To make things even more challenging an Inspector from Professional Standards is assigned to the case to keep an eye on Bank’s investigation. As he continues to look into the officer’s death, he realizes this case is linked to a cold case involving the disappearance of an English girl in Estonia. Meanwhile, his college Detective Inspector Annie Cabot uncovers a labor scam involving corrupt bureaucrats that is somehow linked to Bank’s case. As previously mentioned, this was fabulous. I loved all of the police procedures and the details of opening an old case. 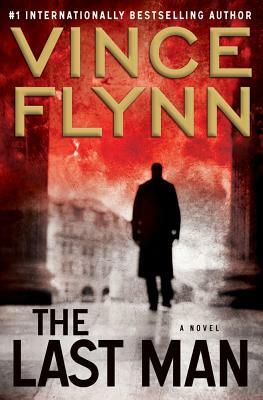 It was interesting to read a story that highlights the choices a young cop makes and how that effects his life years later. I also really liked all of the different cultures in this story. I learned so much about Estonia. 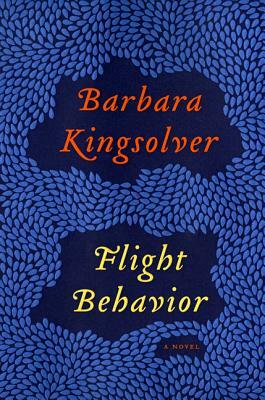 I was completely immersed in this book and couldn’t put it down till the very end. This is an excellent British mystery series. 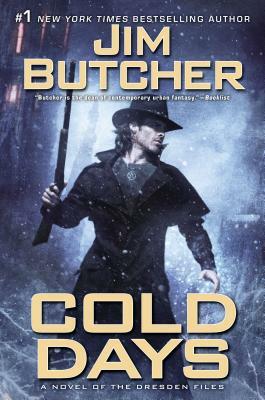 If you are looking for other series similar to Robinson’s style, try a Deborah Crombie or Stuart MacBride mystery novel. This book will be released January 8th 2013, be sure to pre-order your copy from mostlybooksaz.com today.